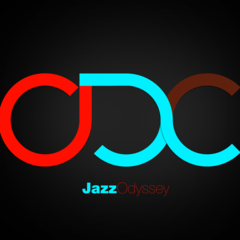 Jazz Odyssey is your journey through the world of Modern Jazz. Host Chris Kuborn takes the listener on a musical journey through the latest sounds in Jazz. Each week I feature a recording, artist, group or recordings from a specific record label and introduce that music to you. There may be a classic track from time to time but this show is all about Modern Jazz. Music from Artists like Medeski, Martin & Wood, The Esbjorn Svensson Trio, Trilok Gurtu, Garaj Mahal, United Future Organization, Stanton Moore, Niacin and a whole lot more. Like nothing else on radio - this isn't your father's jazz show!! All shows are 59 minutes (regardless of the PRX time notations) with a one minute and a 30 second break in the first hour and 2-30 sec breaks in the 2nd hour. The second hour is optional if you are looking for 59 minutes only.